News: You can attach photos hosted by the forum rather than using an external image hosting site, this means they will stay forever and not disappear after a year or two. 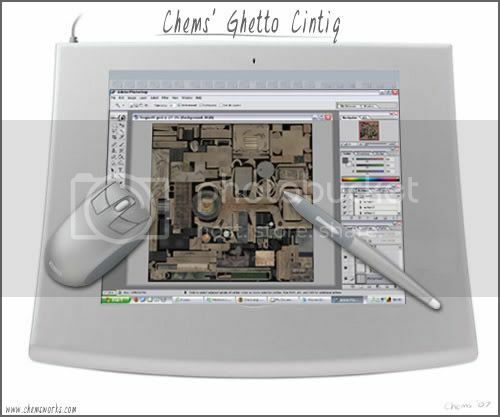 Hi all, had a nice read through the website by drew a while back, and the idea kept nibbling at me, then got thinking about setting up dual screens for my work then decided hell, why not have the second screen as the Gheto Cintiq? Bought my monitor yesterday, external PSU, perfect condition, same one somebody else used I think the Compaq 1501 LCD 15inch. Its response time is 45ms, which I hope will be ok.
Heres a pic, it looks like the res in this pic is 800x600, but Ive seen the seller showing the same monitor on a PC sale in the higher 1024x768 res which is its max and it looks great. Ive got my eye on a couple of 9x12 Intous' and hopefully pick on up cheap. By my calculations if its the same dimensions as my 15inch dell LCD, it should fit perfectly in the active area. Here is the obligitary what I think it will look like shot. I say think, I mean hope! I intend to make a very detailed tutorial so people can just pick up the same parts and copy my tutorial exactly. Im guessing its going to be fun, and Im sure I gonna have to hunt around for some specialised bits and the like, but here goes! Monitor should be here by wednesday so the fun starts then. Intous2 9x12 secured, for a mere 100quid. Well its not a huge bargin, specially since I need it shipping over, but Im thinking its going to cost me about 200quid in all, which isnt bad really? Im a bit worried about the monitor, will 45ms be noticable in Photoshop? It'll be fine unless you're animating something. It's about 1/23 of a second. Thanks Drew, eases my mind greatyl! 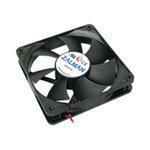 Another item to the list, the fan to cool the beast. Ok so its not a beast but I dont want any fires. The cost is racking up! 7quid that cost me! It will be worth it thou. Recieved my monitor this morning. It is super, no problems with the response time at all, maybe the 45ms was a lie, watched some videos, did some crazy flying pen work with my voltio and no lag what so ever. Happy Days! As opposed to 45. I've NEVER seen a TFT with a response time that high. lol, yeah when I told a friend he was like flipping heck. But Ive tested it and its all good. I want to strip it down now, but Im gonna wait for my tablet to arrive I think. Or at least wait till closer to the time. I still need to get the FFC, hopefully once the tablet arrives which is coming from the US it will be all ready to go. Good news, I repaired it by massaging the ribbons near the area. Phew. Bad connector and cable will cause this issue too. Maybe you can try a different port or cable next time it happen again. Its not happening anymore, now Im just waiting on a few items in the post. What Im hoping to do is, have the LCD screen on top covered by a thin pane of glass or arcylic. Then the backlight unit below that. Thats about 5mm. 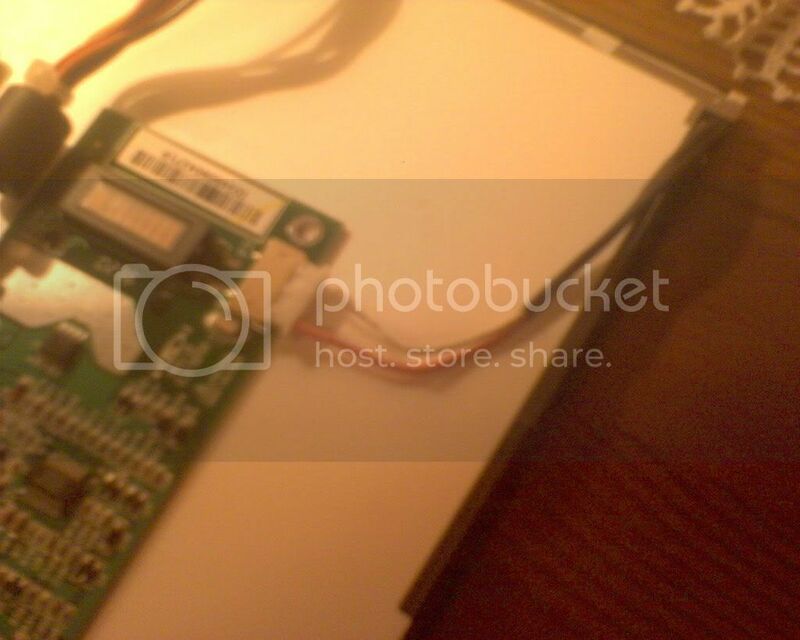 Then The Wacom board beneath that all, then the circuit boards underneath. That should work fine I dont think the Monitor circuit boards will cause magnet interference will they? Then sandwich it all back into the intous case and cut my fan hole and button for screen control. S W I N T I Q If it aint broke, MAKE IT BETTER! It's all fun and games till someone loses a testicle. Actually i was thinking to get this RAM frame from ikea. Will re-use the wood frame for something else. Ok I need to length on Backlight wire. Is this a simple case of chopping it open and putting in some extra wire, or will it need to be something special? Just borrow one of ya3's images that is a bit clearer. Any advice on this would be greatly appreciated. Why do you need to lengthen it? Is there no way of moving the other bits around to get it where you want? I've heard dodgy things about trying to extend these. Not really, The whole things going to be shifted, the only thing that wont reach is the backlight cables. I would have thought they would have been the easiest part to move? The other option is to extend the cable between the two boards, I dont even know what thats called. In regards to lengthing the Backlight cables and youve heard bad things, is that cause if they wires get longer the backlights get dimmer? Edit: I just read this thing about how you should never extend the length of the cable from Inverter to Backlight. So it looks like its the 5wires in that quick connect/quick disconnect unit I either need to extend, chop and extend or replace with a longer one.